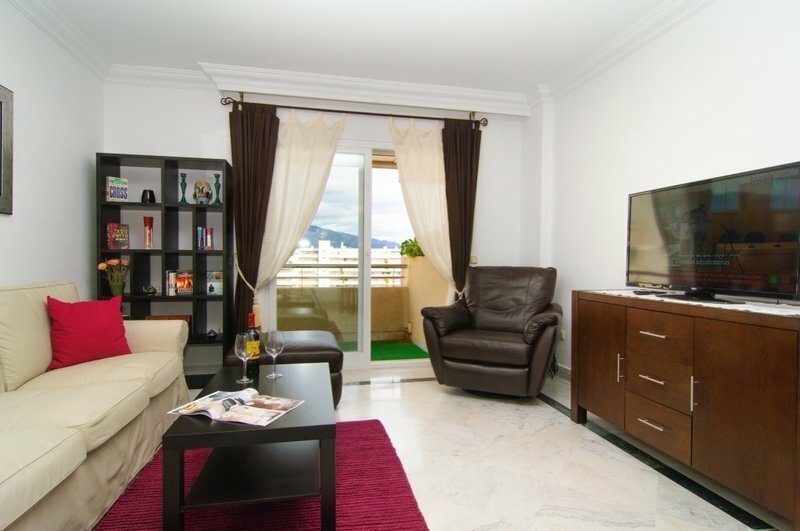 A bright 2 bedroom apartment in the heart of Puerto Banus, in the gated and secure community of Marina Banus. 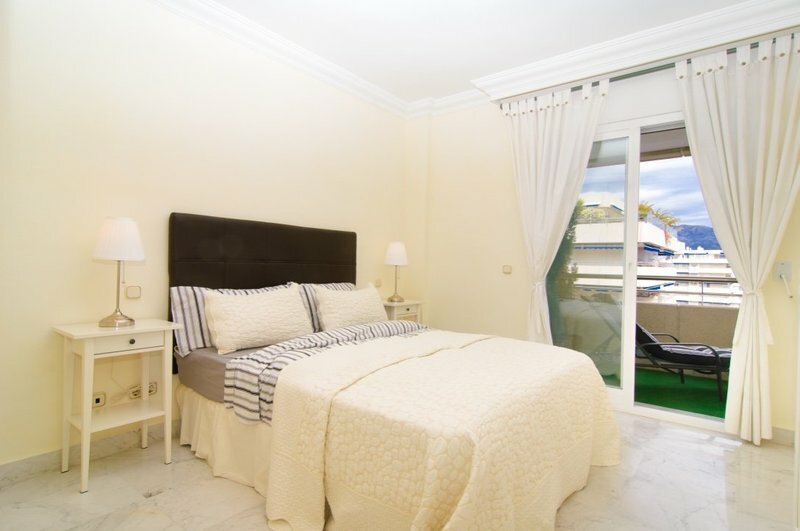 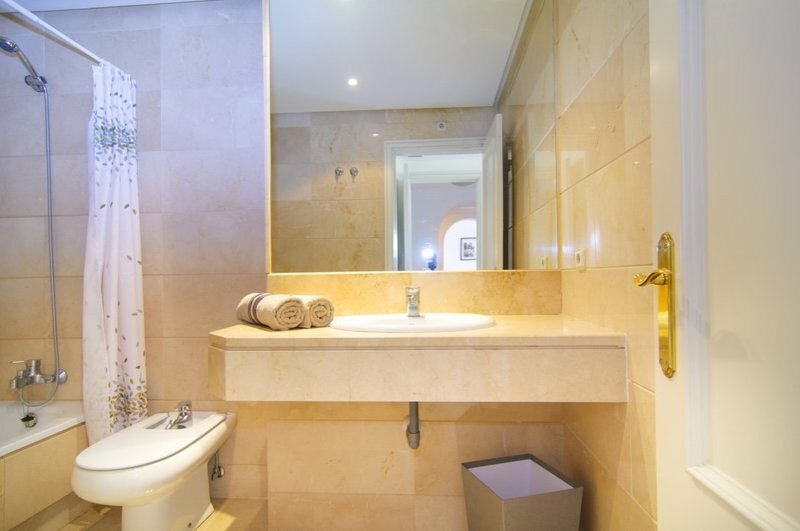 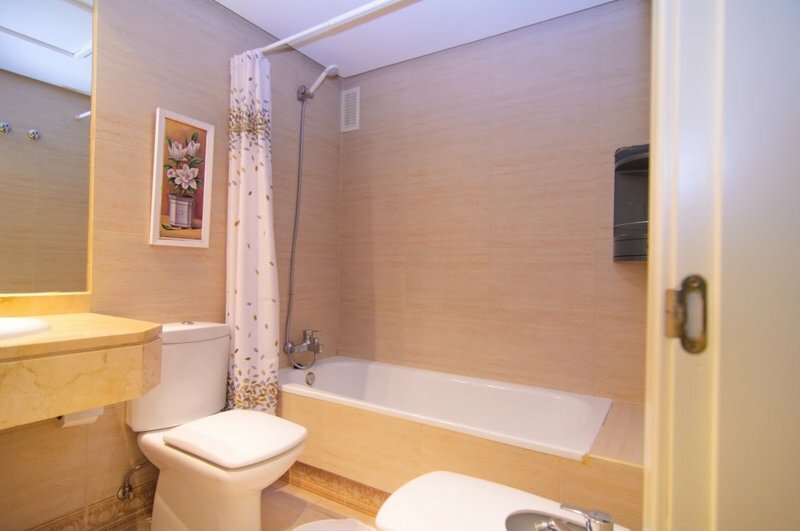 This property offers 2 bedrooms with 2 bathrooms, the master bedroom includes an en-suite bathroom. 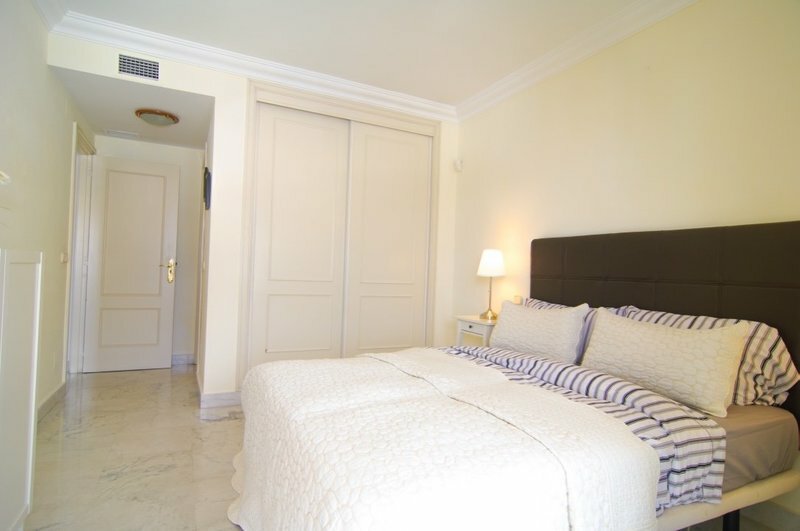 Modern Spanish style furniture with the use of pale woods in the bedrooms and modern neutral colours in the living/dining room. 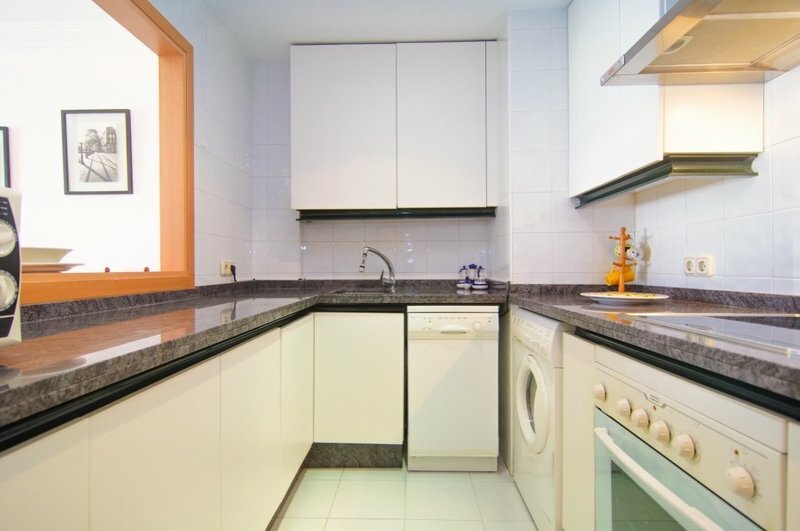 A fully fitted kitchen with window into the living room, leading out onto the east facing terrace. 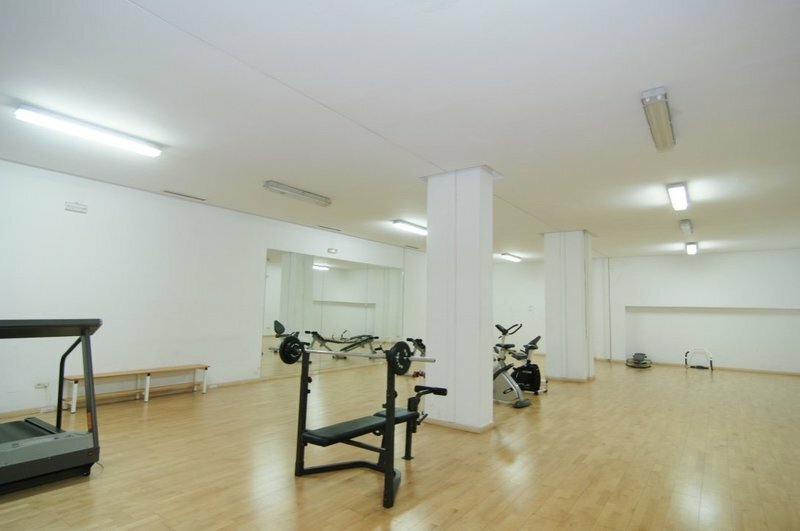 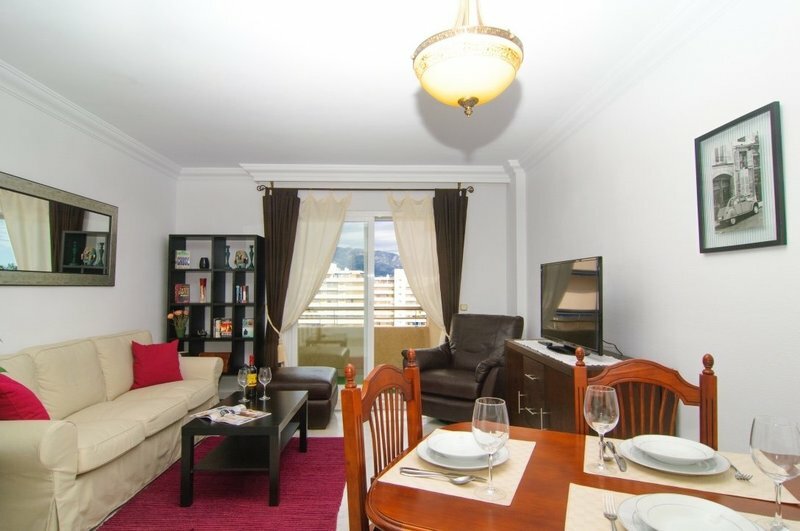 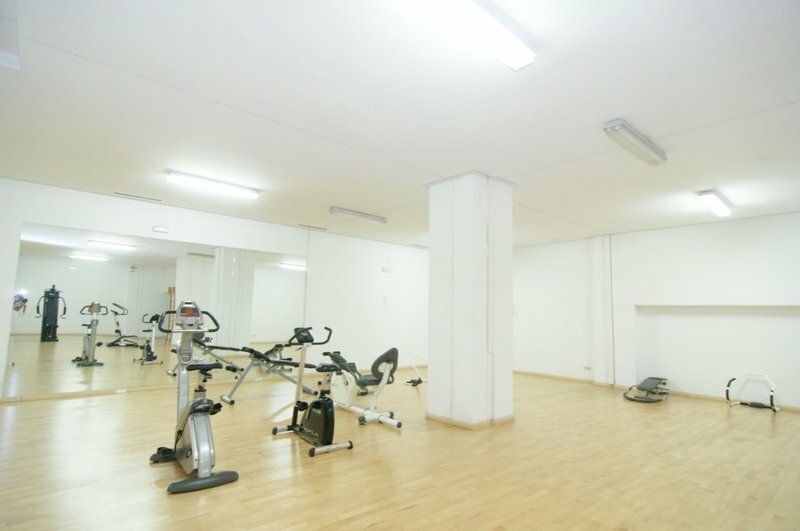 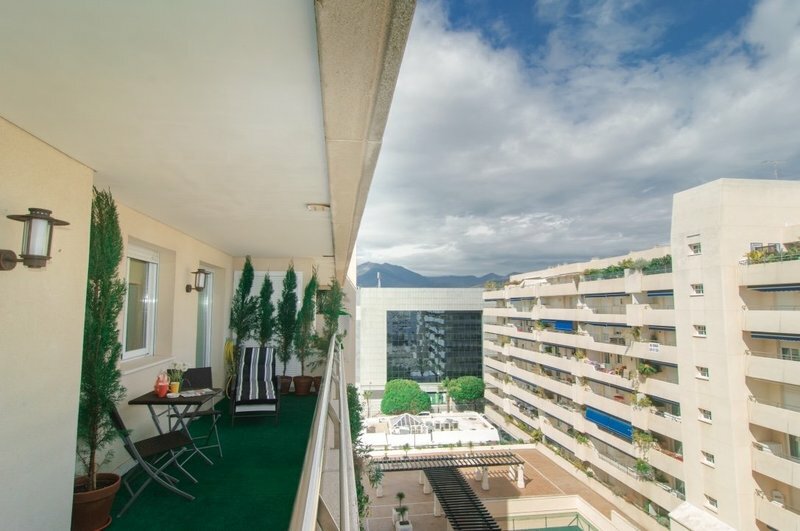 The apartment boasts marble floors and air conditioning throughout the property in addition to a private parking space in the under floor garage. 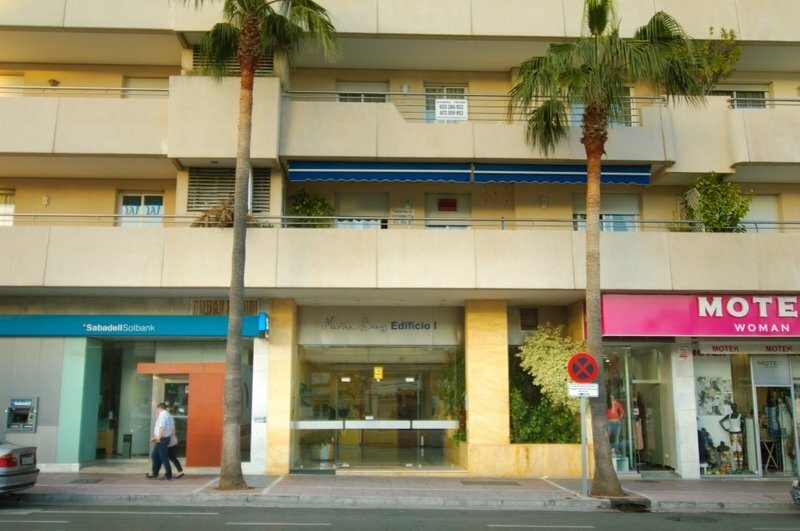 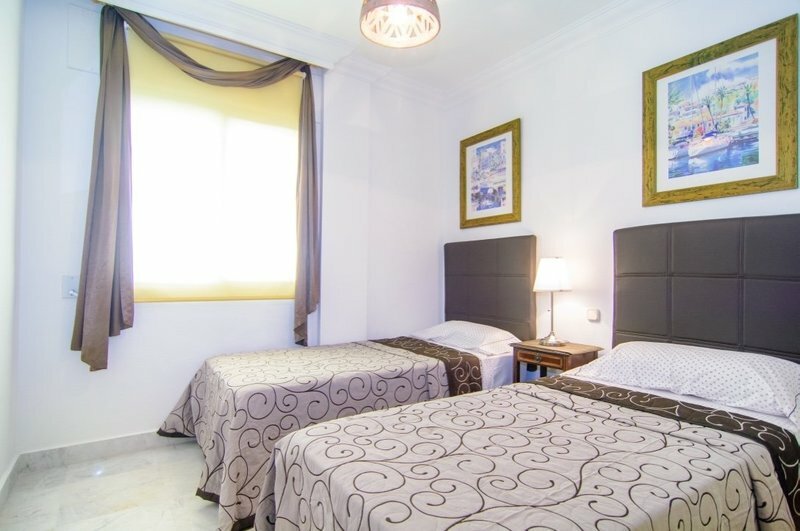 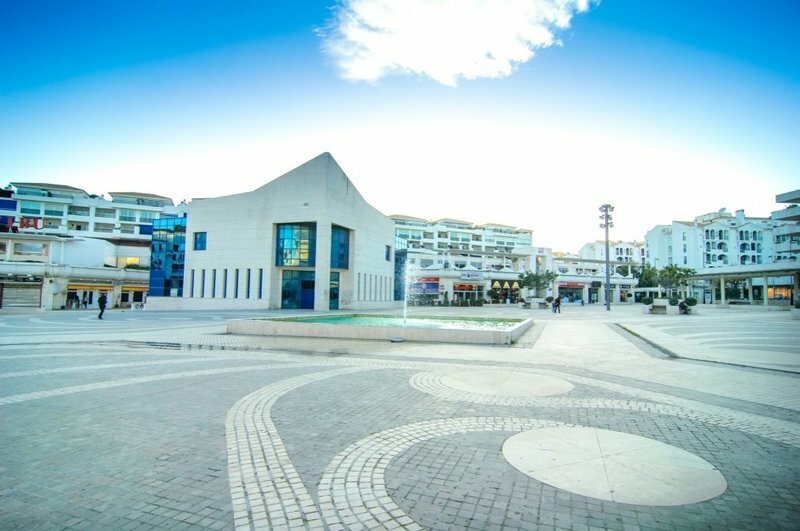 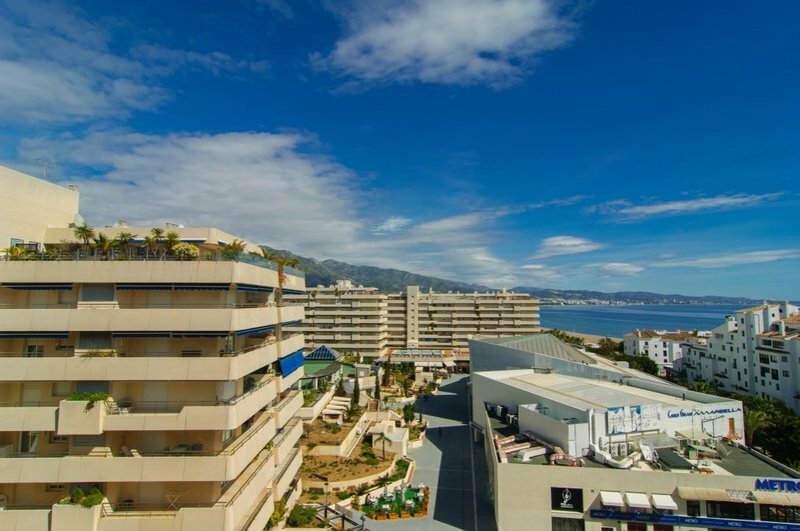 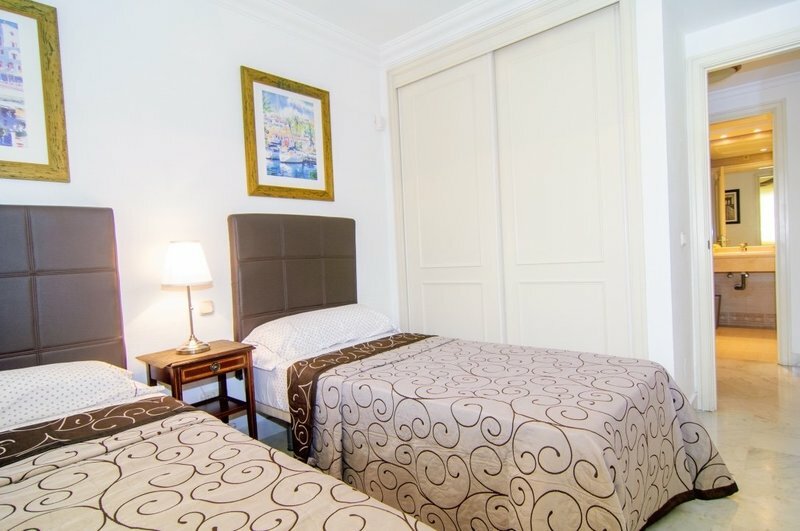 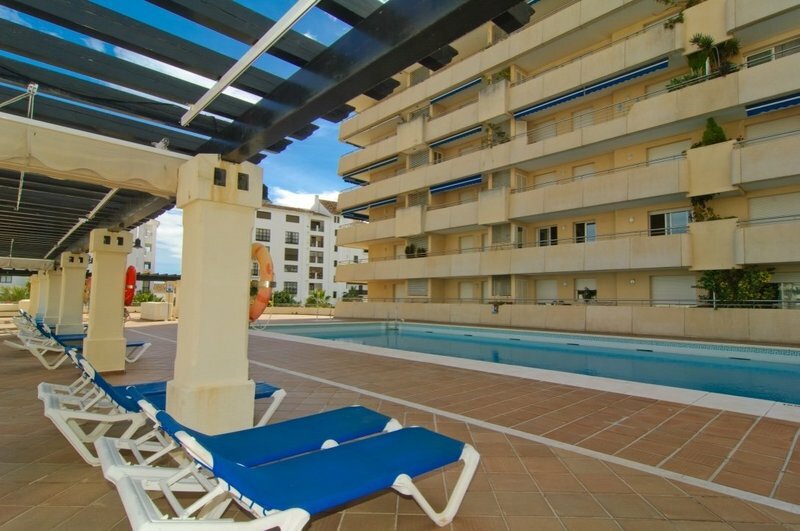 The complex of Marina Banus is well located in the centre of Puerto Banus with all amenities at your doorstep giving the feeling of living in a town centre. 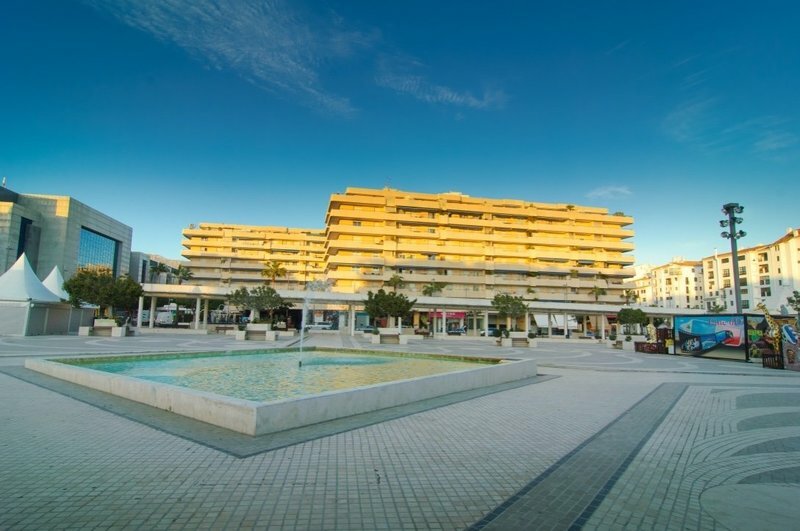 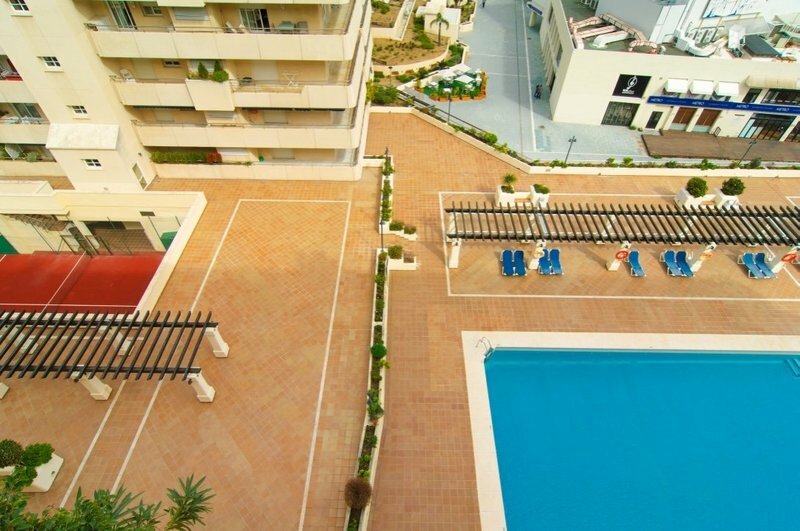 Marina Banus offers a lovely swimming pool, large terraces for sunbathing and paddle tennis courts. 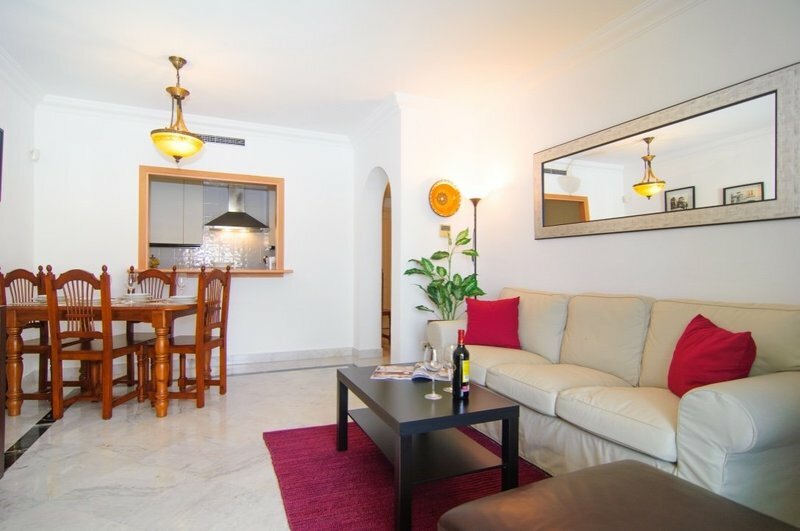 A great holiday property.